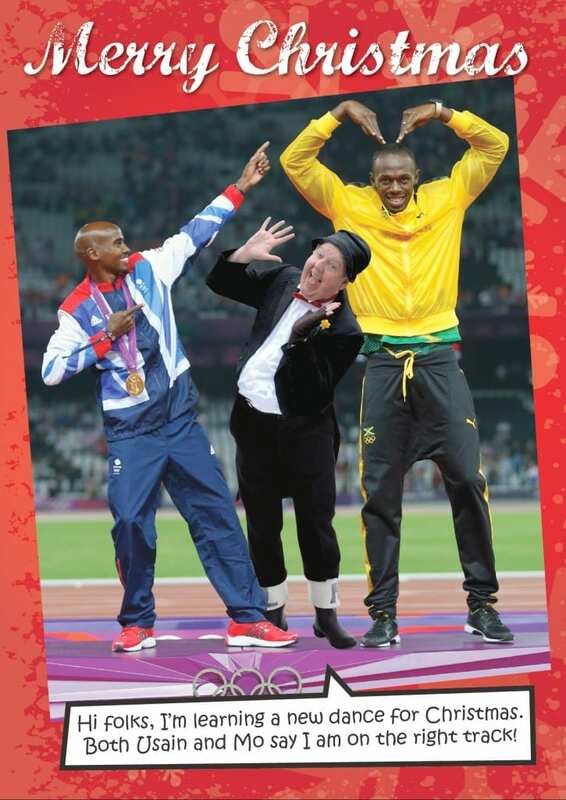 Jimmy Cricket used the inspiration of the London Olympics when it came to designing his 2012 Christmas card. Olympic champions Usain Bolt and Mo Farah feature on the front cover of the cards he has started sending out to friends. 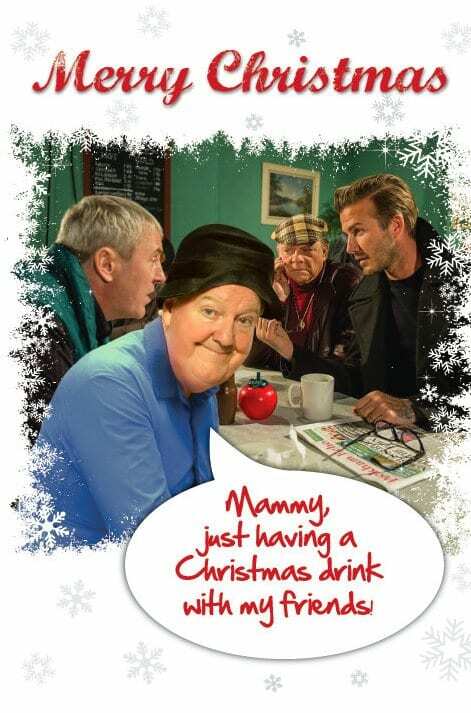 The famous Irish comedian says: “Each year at Christmas time, I think of a topical idea to base the front of my Christmas cards on. “Each Christmas card design has usually involved a big news event of the preceding year, with me pictured in the middle and passing the odd comedy quip or two! Jimmy has even managed to get into the composition of this year’s Christmas card design the much talked about poses for which these athletes are famous. Jamaica’s Bolt defended his 100m, 200m and 4x100m relay crowns at the London 2012 Olympics, while in winning the 10,000m Team GB’s Farah became the first Briton to ever win a distance gold at an Olympics before adding the 5,000m title exactly a week later to join a select band of greats to have completed the long-distance double. Jimmy Cricket had them rocking around the clock on the beach this summer! 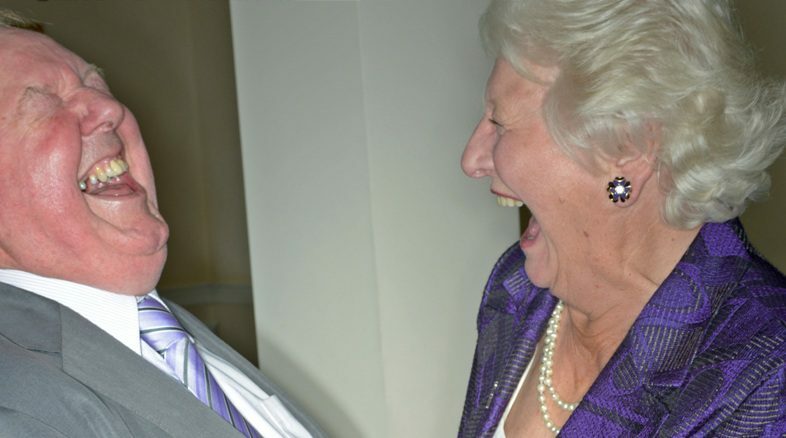 The famous Irish comedian has recalled the occasion he met professional organist Chris Mannion. 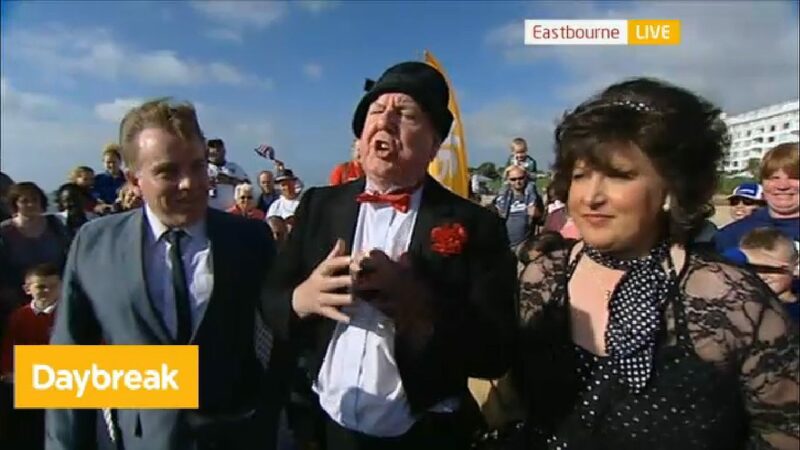 It was on the day that Jimmy appeared live on ITV’s breakfast show, Daybreak, in Eastbourne on the south coast. “Chris was playing his keyboard as part of the outside broadcast when I arrived on the scene and got the assembled crowd to sing Rock Around The Clock,” laughs Jimmy. “Chris is a professional organist and is very accomplished. He not only plays at various concerts in Eastbourne, where he lives, but he is much in demand across the country and this extends to playing engagements on cruise ships. Find out more about Chris at http://www.chris-mannion.co.uk. 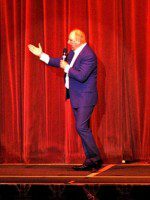 Jimmy was in Eastbourne two days a week during the summer, starring in Sentimental Journey, which ran at the Royal Hippodrome Theatre in the East Sussex town until 26 September. 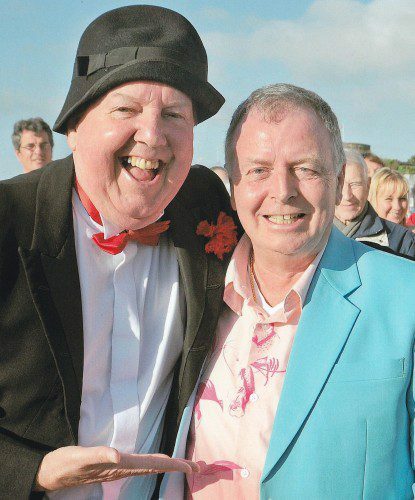 A newspaper has reported on Jimmy Cricket’s live appearance earlier this month on ITV. The Irish comedian was interviewed by presenter Gethin Jones on the breakfast show, Daybreak, 10 days ago. 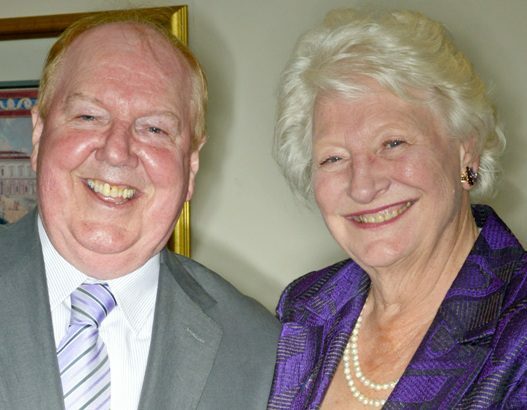 Alongside him were fellow entertainers in Sentimental Journey, the family extravaganza running at the Royal Hippodrome Theatre in Eastbourne, East Sussex, from 1 May to 26 September. 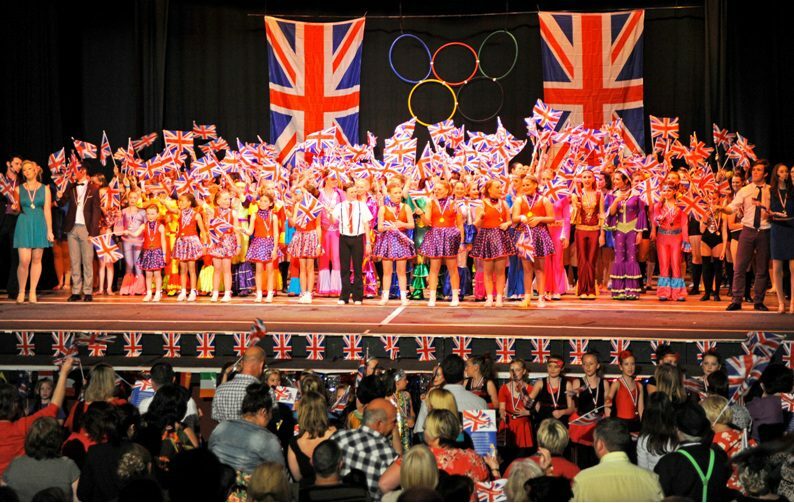 The programme was celebrating the journey of the Olympic Torch through the town of Eastbourne ahead of London 2012 which officially starts later today. 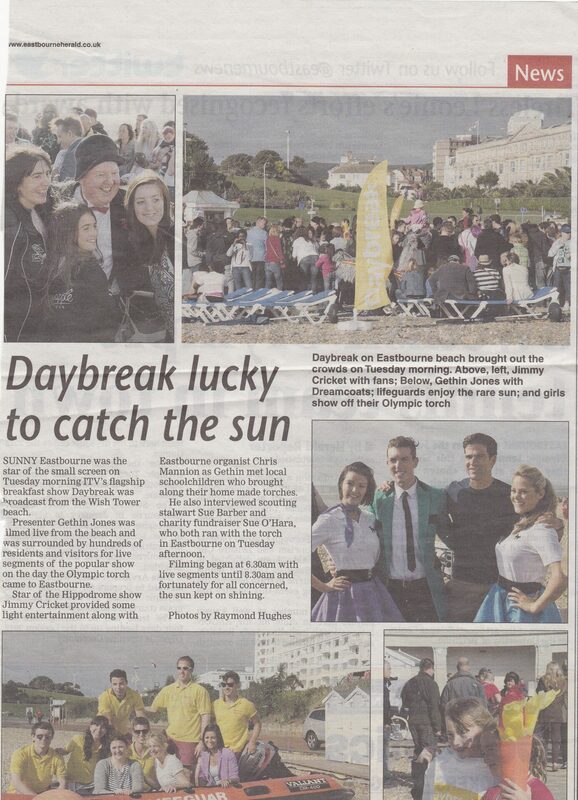 An article about the occasion, including Jimmy’s appearance, was published in the Eastbourne Herald. VIDEO: Watch Jimmy with Gethin on Daybreak here. * Performances for Sentimental Journey are at 8.15 each Tuesday and Wednesday night throughout the summer. Tickets cost £12 and £17 – go here for more information. Jimmy Cricket returned to the “small screen” today. The famous Irish comedian, who has made many television appearances over the past few decades and had his own series on Central Television in the mid-1980s called And There’s More, appeared live on ITV’s breakfast show, Daybreak. Jimmy said: “Today the Olympic Torch journeyed through the town of Eastbourne. The presenter who interviewed Jimmy was Daybreak’s Gethin Jones who was previously on the BBC’s Blue Peter. He joined the breakfast show back in May this year. Jimmy, who told a couple of jokes live on air, was introduced by Gethin as “the legend that is Jimmy Cricket”. Watch Jimmy with Gethin on Daybreak here.